There is no doubt that the new Samsung Galaxy Note 9 will be an incredible smartphone, it will be released on August 9. Now, many news sites are discussing this phone. Here we will not discuss it anymore, we discuss its protective measures. After a quick search on Google, we found a lot of beautiful phone cases, but we found that wallet case is the most discussed, so today we recommend a Samsung Galaxy Note 9 Wallet Case. This is a 2-in-1 leather wallet case for the Galaxy Note 8, with a detachable slim case and zip wallet. This zip wallet has multiple compartments for credit cards, cash, coins, photos and more. As we said, it is a full-time wallet! Powerful magnetic absorption ensures your equipment is safe. It is made of high quality PU leather and PC eco-friendly materials. Its zip and buttons are located above the case to ensure your interior is safe. Provides excellent scratch resistance, fingerprints and daily wear protection. 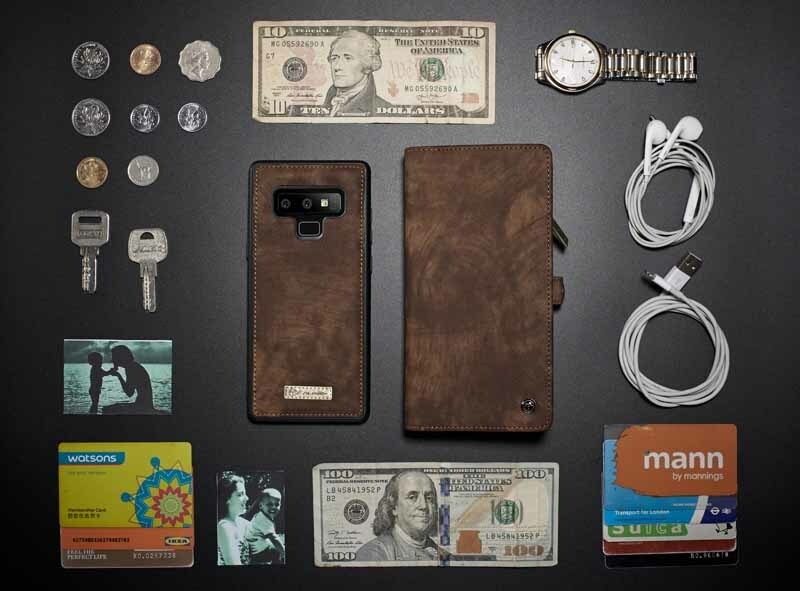 When we checked the CaseMe case website, we found that this brand has released the Samsung Galaxy S10 Wallet Case and the Samsung Galaxy S10 Plus Wallet Case. Interested friends can check out this website.